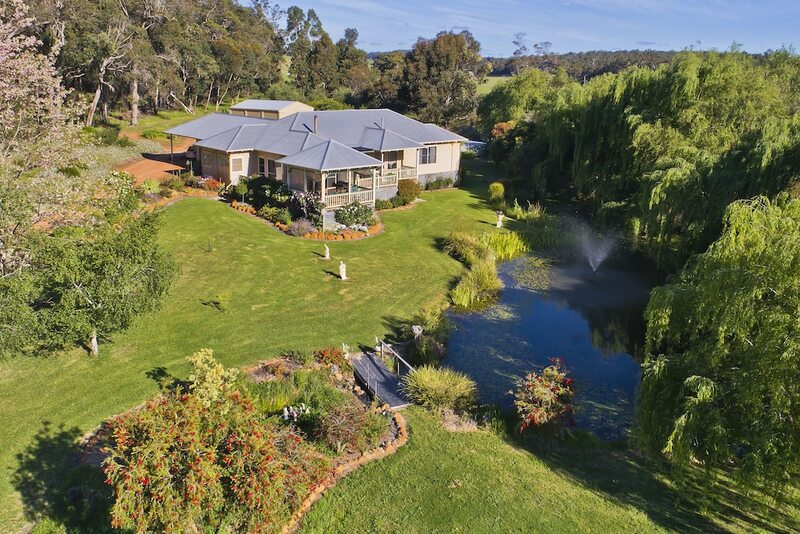 Located in Carlotta, Mossbrook Country Estate Bed & Breakfast is within a 15-minute drive of Marinko Tomas Bicentennial Park and Nannup Arboretum. This 4.5-star bed & breakfast is 8.7 mi (14 km) from Jarrahwood State Forest and 13.4 mi (21.5 km) from St John Brook Conservation Park. Make yourself at home in one of the 3 air-conditioned rooms featuring refrigerators. Complimentary wireless Internet access keeps you connected, and digital programming is available for your entertainment. Private bathrooms with showers feature complimentary toiletries and hair dryers. Conveniences include coffee/tea makers and complimentary bottled water. Take advantage of the bed & breakfast's room service (during limited hours). A complimentary English breakfast is served daily from 7:30 AM to 9 AM.